WFAA invited each of the nine candidates for Dallas mayor to answer questions for voters before the May 4th election. DALLAS — WFAA invited each of the nine candidates for Dallas mayor to answer the following questions to help inform voters before the May 4th election. President – Chief Executive Officer of On-Target Supplies and Logistics, Ltd.
• University of Texas at Dallas: Bachelor's Degree of General Studies with a focus on business and political science. • Southern Methodist University Cox School of Business: M.B.A.
How long have you lived in the city of Dallas? All my life: I was born and raised and raised in the Frazier Courts housing projects in South Dallas, attended Dallas public schools, went to college and graduate school in Dallas and built my business in Dallas. I am running for mayor to build a better Dallas for all of us, rich or poor, male or female, black, brown or white – or any of the beautiful shades in between. Together, we can create more jobs, increase access to health care and create more opportunities for Dallas’ children. Prior political experience or civic leadership involvement? When my wife started our company, we baked in community service as a core value. We created Ready To Work, our job-readiness program that has given more than 2,200 of our Dallas neighbors the skills they need to get and keep family-sustaining jobs. I served as a Trustee and then Chairman of the Baylor Health Care System of Dallas – and helped bring the Baylor Diabetes Health & Wellness Institute to my childhood neighborhood in South Dallas, where three times as many residents were dying as a result of diabetes than anywhere else in America. I currently serve as Chairman of the Charles A. Sammons Cancer Center at Baylor Scott and White Health. I have also served on the Advisory Board of Southern Methodist University Cox School of Business and as a Regent for Baylor University-Waco. 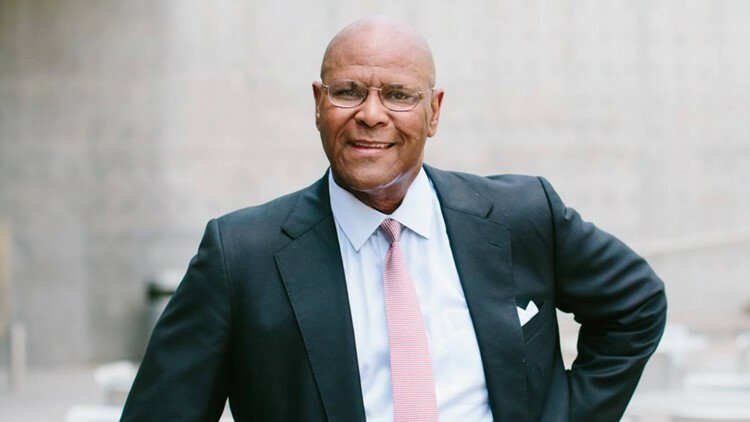 I’ve served as Chairman of the Dallas Housing Authority and as the first African-American Chairman of the Greater Dallas Chamber of Commerce's Board of Directors. As a businessman and community servant, I have supported many elected leaders. I’ve served as treasurer for Texas State Senator Royce West, Judge John Creuzot and Mayor Tom Leppert. This is my first run for elective office. There are a lot of candidates in this race, why should voters choose you over someone else? I respect my fellow candidates but none can match my record of creating opportunity and building bridges in Dallas. As a child from the Frazier Court housing projects, I rose up to lead the Dallas Housing Authority and became a champion for safe, affordable housing for working families. As the son of a Dallas hotel doorman, I built a business that last year provided more than 200 living-wage jobs and has opened doors for 2,200 more through an innovative job-readiness program. As part of a community at heightened risk of diabetes, I helped lead the effort to bring the Baylor Diabetes and Wellness Center to the neighborhood where I grew up. I started my first business mowing lawns at age 10 – and went on to serve as chair of the Dallas Regional Chamber of Commerce, the Baylor Health System Board of Directors and countless other business and civic institutions. As some in South Dallas say, I “made it North of the Trinity River.” Ever since, I’ve been building bridges to create opportunity for people on both sides of the Trinity and from all compass points in our city. In your view, what are the three biggest challenges facing Dallas? Specifically, how do you plan to address them? (1) We need a strong and dynamic economy that includes people at all compass points in Dallas and supports strong job creation and business growth at all levels – from the mom and pop shops that are the heart and soul of Dallas the large corporations that provide jobs for thousands. Investments in education and training are key to making sure that students who won’t get a college degree and adults displaced by automation and other forces beyond their control can obtain the skills they need to get the good-paying jobs of the future. The smart use of opportunity zones can provide incentives for investment. (2) We need smart housing strategies that include new construction instead of empty lots, with incentives to encourage the City of Dallas, DISD, County and Health professionals (think police officers, teachers, nurses and firefighters) to “Come Back To Dallas!” Ignoring code compliance leads to neighborhood blight. Enforcing code compliance in under-served areas, without doing more, becomes a tax that drives folks out. We need to invite people to stay in Dallas through innovative neighborhood beautification grants and housing remediation programs that leverage CDGB funds. (3) We need health industry support and alliances for better patient access and outcomes throughout Dallas. Through the development of health enterprise zones, we can attract health care facilities to a community while providing good middle-class jobs for neighbors (think med-techs) and infrastructure investment such as better streets, sidewalks and lighting. The Baylor Diabetes and Wellness Center that I helped bring to the South Dallas neighborhood where I grew up is a good example of this in real time. With growing property taxes, it gets more expensive to live in Dallas every year. If elected, what specifically would you do to address that? I built a business from the ground up – and my business helps other businesses design and improve systems that are cost-effective and efficient. As mayor, I would focus on finding greater efficiencies in the systems that govern how our tax dollars are spent. This is not an empty promise – the city’s recent audit of VisitDallas showed it spent nearly $150 million in tax dollars over four years without vigilant oversight from City Hall. I would take a hard look at proposals to increase exemptions or cap property taxes for seniors on fixed incomes – but we need to weigh those proposals against the very real needs for funding core services like public safety and infrastructure. Much of the pressure on local property taxes is the result of the state government shirking its responsibilities. For example, one of the most dramatic ways to reduce the tax burden would be for the state government to accept Medicaid expansion and adequately fund public schools. If cities, business leaders, non-profit institutions and political leaders at all levels of government coalesced behind a public education and pressure campaign, I believe we could make this happen. As mayor, I would be proactive in launching such an effort. Similarly, everyone who cares about Dallas should oppose plans in the state legislature to impose an arbitrary, one-size-fits-all spending cap on city governments. Taxes and spending are the toughest issues for cities to deal with – but we should be able to deal with those on our own without interference from the state government. Dallas now has hundreds of fewer police officers than five years ago. Emergency response times have increased, as well. How do you solve this problem? First, let me state the obvious: We need more officers on the street and we need to retain the ones we have. That costs money – and that’s why I specifically said in my answer above that we need to balance any actions that would reduce revenue with our core needs – like public safety – that require revenue. These are tough decisions that need to be made with full transparency and public input. We can also be creative. My proposed Come Home to Dallas! program would offer incentives for police officers (and firefighters, teachers and nurses) to return home from Frisco or Desoto – or wherever they have been driven out of Dallas to live because of high housing costs. While indirect, there is a benefit to having officers living in the communities they are sworn to protect. There is a growing homeless population in Dallas. Prior administrations have struggled to address it. What would you do differently? As a former chair of the Dallas Housing Authority, I am encouraged by the growing focus on creating transitional and permanent supportive housing that includes wrap-around services. We cannot make progress on homelessness without more housing. Making progress on homelessness is the responsibility of all of us. One of the ways we can distribute the effort is to provide and aggressively seek more funding and assistance to social service agencies at all compass points in Dallas, who are doing this work. Improving access to mental health care is an equally important goal. People with mental health challenges too easily become homeless and are far less likely to escape homelessness. The Dallas Morning News has shined a light on the lack of access to mental health services in South Dallas, and the demonstrable link to the behavioral health-related calls made to the city's 911 system. With funding always being a central challenge, engaging the private sector is key. I have served in leadership roles in health care, including on the board of the Baylor Health System in Dallas, where we successfully brought a diabetes treatment and prevention center to South Dallas. That’s a model I will pursue to bring mental health services to all parts of the city as mayor. We should also focus on the particular needs our homeless populations. The city should be working hand-in-hand with the Veterans Administration and HUD to reduce and eventually end chronic homelessness among veterans. Major strides have been made in Dallas’ southern sector but challenges remain. What are the two biggest opportunities you have identified? The increasing interest in the southern sector is itself an opportunity – but we need to ensure that it’s an opportunity to revitalize our communities and not an opportunity to grab real estate and push out long-term residents in the guise of “helping” them. My Come Home to Dallas initiative would include developing the many parcels of vacant land into workforce housing, coupled with incentives to bring police officers, teachers, nurses and firefighters back into our neighborhoods from the surrounding suburbs. At the same time, it would take steps to make sure that development contracts are awarded equitably and in a manner that benefits the communities they impact. We want to foster small-business growth, create job opportunities for local residents through effective job-readiness programs, all while strengthening our overall economy. The real opportunity created by increased interest in the southern sector is increased inclusion – so that every resident of Dallas benefits. I have been an owner of a large business for 30 years and served in a leadership capacity for large nonprofit and public institutions – and have been involved in litigation as part of the leadership team. I have never declared bankruptcy. In fact, when my company was struggling, my wife and I invested our personal assets in the company to save the jobs of our employees. Favorite Dallas restaurant – or night out? I enjoy Gonzalez Restaurant a lot and recommend it to your readers. Have you ever ridden DART? Yes. When my wife and I were building our business and raising our kids, we would alternate with one of us driving a car and the other riding DART. We had to have a car at the business but we were often not traveling to work at the same time. That’s not far from my mind as we work to build out our transportation system that so many depend upon. Tell us something about yourself – unrelated to politics or this race – that voters probably don’t know. Many people know that my father was a doorman at the old Baker Hotel in Dallas. They may not know how incredibly well-read he was, and what that meant for me and my siblings. Dad read two Dallas newspapers and took a lot of magazines, and our allowance was based on reading articles that he thought would challenge us. I didn’t have a chance to read the sports page, but I had to read the editorial page. I wanted to read African American columnist Carl Rowan, but Dad would always give me conservative columnist William Buckley’s articles. My father understood the nature of being provoked and being educated.